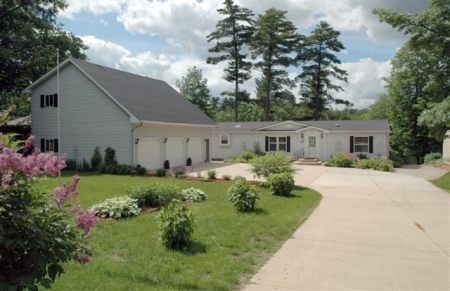 3 bedroom, 2 bath Menomonie home for sale, 108 feet of lake frontage on lower Tainter Lake. Home is stunning with 2 sided fireplace, 2 living rooms, master bedroom with full bath. Large back yard, 28x12 deck, 8 person hot tub in the gazebo. Lot is level and almost flat to the water. 30x36 3-car detached garage totally finished and heated, upstairs could be made into a studio apt.